Each season for most of my coaching career, I have appointed team captains prior to the first regular season swim meet. I have always made the appointments in consultation with the other coaches. After discussing it with the coaches a few years ago, I decided to announce the captains for the next season during the post-season swimming awards. 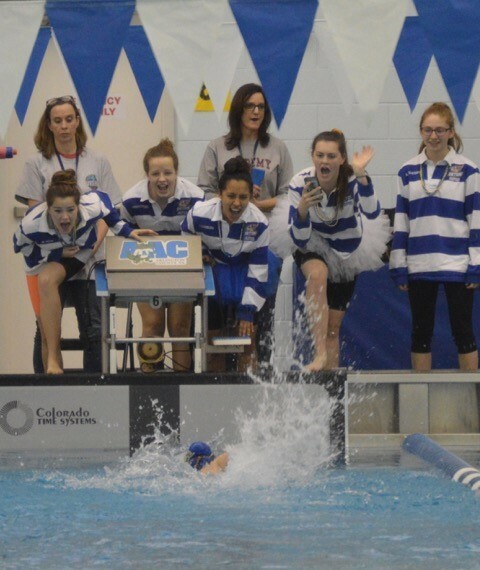 I liked the way that worked for the past two years, so I plan to announce next season's Captains at the Swimming Awards on Sunday, March 3rd at 1:30 p.m. based, in part, on the results of voting by the team. I've posted a survey, above, for every member of the team to complete one time (and only one time please). If you have an opinion on who would make a great team captain, now is your time to speak up. Below are some questions that you should ask yourself when deciding who you think would be a great captain. I adapted these questions from the thoughts of our former Assistant Coach Rich Lowell, and they are a great description of what I am looking for. After carefully considering the questions he poses, please participate in the survey. Normally, I consider primarily Seniors and some Juniors, but if you feel an underclassman would make a great captain, feel free to enter their name in the survey. A team roster is posted under Meet & Team Information/Team Information if you need a refresher. I am anxious to take advantage of your votes. I am also particularly anxious to hear from the younger swimmers. Many of my expectations deal with how you are treated, so please vote - I know that many of you don't have internet access, so parents, please help them complete the survey. Their votes are very important to me. Those who want the title of "Captain" should expect to be held to a higher standard, first in their commitment to improve as swimmers, and then secondly to others in their actions for others. You cannot lead something you are not willing to do yourself, so first ask this about how you approach the task at hand... swimming. Am I really trying to improve my swimming to the point of being willing to submit to the discomfort associated with an assigned workout, or do I back off, just going through the motions? Do I have to get out of the pool during swim practice? Do I try to move to a harder lane, or is the risk of working harder too much for me to do so? When was the last time I did more than I was assigned? Do I know the names of everyone on the team. If you don't care enough to know my name, how are you going to convince me that you care about me? Have I stopped to talk to a team member that seems to be kinda by themselves and not really included, or do I just hang around those I am comfortable with? When was the last time I initiated the action, beginning the work ahead of being directed, not waiting for the coaches to ask for me to do the obvious? When did I last begin to move to be down on deck to lead so that all are ready for the exercises begin @ 6:04? Do I arrive late or just on time? Do I stay focused on others, encouraging the underclassmen during meets, cheering, offering swimming advice for improvement? Do I jump in the pool to lead the team into the water? Do I seek to help other, sometimes less capable, swimmers improve their strokes? Did I lead by example while raising money for our annual Cystic Fibrosis Swim-a-thon? Am I willing to come to every meet, particularly the championship meets for which I am eligible? Some really want the title of “Captain”, but do you really want to be held to these standards? Please tell me who you think really wants to be held to these standards - and judge them by their actions, not their words. I'm most interested in getting Captains that act like Captains when the coaches are not around - you, the members of our team, know best who I am looking for. The Championship Streak Continues for a 25th Season! Seton’s Girls Unexpectedly Jump Up to Take Division II State Runner-up! Congratulations to the Trinity Christian Girls! So You’re Telling Me There’s a Chance……YEAH! Seton Boys Take Back Conference Championship! So How Do You Score in a High School Swim Meet Anyway? The Namesake of the Delaney Athletic Conference? Seton Girls Win 21st Straight Conference Championship! Seton’s Girls Win 2015 Division II State Championship Runner-Up! Seton Girl’s Results Foreshadow States by Taking Runner-up at VISAA Division II Invitational? Anna Kenna Wins the National Catholic High School Championship in 100 Backstroke! Now that was a great meet! You are a 7th grader on the Seton Swim Team. Our Annual Bus Trip to Richmond was Fun - and Fast! Seton’s Girls Win Division II State Championship Runner-Up! Seton Girls Win 20th Straight Conference Championship! Seton Girls Win VISAA Division II Invitational! Hey Coach, Does Winning Really Matter Anyway? Congratulations to Fredericksburg Christian School! The '12-'13 Season was another great one! Seton Wins 19th Straight Conference Championship! Seton Swimming Shines at the VISAA State Championships! Seton Wins 18th Consecutive DAC Conference Championship! Seton Girls Win VISAA Division II Invitational Championship! Alex Doonis Takes Gold at National Catholics and Cat Rogers Breaks a Team Record! Seton Boys and Girls Repeat (or Three-peat) as VSIS Division II State Champions! 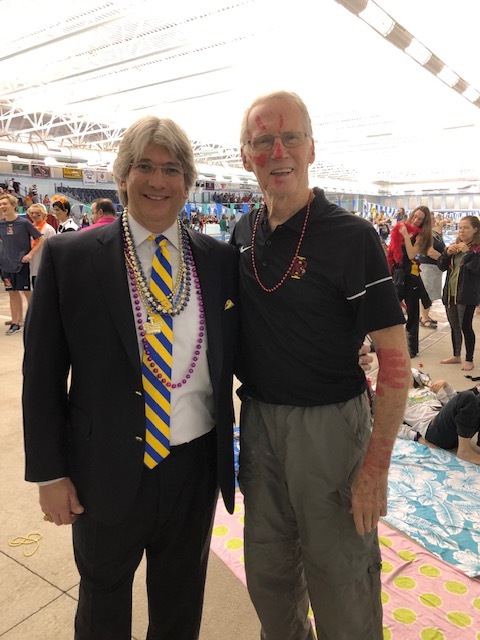 The Seton Alumni Can Still Swim! Seton Swimming Hosts and Wins VSIS Division II Invitational, Getting Excited for States! Both Seton and Jonathan Rosato are DAC Champs and Heading to States! Seton Boys and Girls Win 7th and 8th VSIS Division II State Championships! Seton Boys and Girls Defeat Bishop Ireton! Seton Swimming Wins Both Boys and Girls VSIS Division II State Championships! Welcome to another season of Seton Swimming!